Following the great success of "Spirit of Art" 2011 exhibition we will open another international art exhibition this summer. It will take place at La Gallery Pall Mall Gallery. This international visual art exhibition will be opened on August 17th -27.08.2011. The exhibition is curate and organized by the international art curator and artist, Mrs. Zina Bercovici. The different artists, from different countries, culture and history will bring their motives each in different style, views and techniques. This will be a rare occasion that such a large variety sharing the same roof. The visitors will be exposed to that rich kaleidoscope of colors, shapes and techniques. The famous curator puts that collection in a creative and amazing arrangement that will surely attract the mind of the spectators. It will be a merge of endless of shapes and colors. This international collection shows that art has neither borders nor limits. The exhibition incorporates works of 30 best artists that are famous at their countries. Their works are part of private collections and museums around the world. They participated in various international art exhibitions in Europe, America and Asia. The richness of the collection pumps in the heart of visual art lovers. Art lovers and art collectors should not miss this show. The exhibition will be opened to public from 18t of August. SW1Y 4UY right at the heart of London. The arcade, in which the gallery is located, is specialized in high quality boutiques of fine art. The arcade was design by John Nash and was completed on 1818. 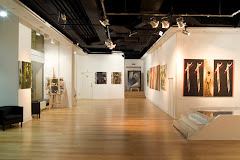 The gallery is specialized in fine visual art exhibitions.